Tactical Periodization is a coaching methodology which is used to train football players with respect to the tactical context of the match. Most coaches divide their tactical periodization training into four parts. Jose Mourinho is the most famous exponent of tactical periodization and his record in finals speaks volumes about this coaching philosophy. Mourinho’s major theme was the Manchester United and Europa League final against Ajax. There the students got an insight into how Mourinho systematically worked on a plan to beat the Dutch. “He spent three out of ten days in the final where he divided the preparations with attack and defensive against Ajax, as well as how to work with ballots. There they should have a brief video meeting and then practice, “said Skogsletten(A student in the class), who also said that the players were given pictures of the Ajax players’ actions so that they were prepared for everything. “There is a focus on everything from the height of players, how they position themselves and every phase of the game. He focused a lot on the opponent, says Skogsletten, who also emphasizes that Mourinho had a plan for how to remedy Ajax’s Danish star player. He had analyzed everything by Kasper Dolberg. How he liked to move, how they wanted to play him up, how he played through, says Stovner’s boy. But although Mourinho had understood how to stop Ajax, he had also seen that there were several points he could attack himself. Among them was to isolate Marcus Rashford up front while Marouane Fellaini used his physicality as much as possible. It was anyway another player Mourinho talked loudly about. Ander Herrera has shown himself as an important piece in United’s system this season, and the students heard. “Mourinho talked a lot about Herrera, saying he is one of the smartest players he has had during his career,” said Skogsletten. Mourinho also told about the corner goal that won the final. And as he himself had not planned! “He talked a lot about having gone from being a rigid coach with his own perspective where he would run his own race, to become a more pragmatic trainer adapting to the opponent to a greater extent,” says Skogsletten. 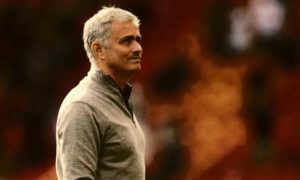 Many have often perceived Mourinho as a coach who only wants things done in his own way, but the 54-year-old himself believes he has changed his mind considerably through the coach career. “We came very well with the term” fundamentalist “and how strong fundamentalist you can be as a football coach, and to your own philosophy. There Mourinho believes that he has changed very, very much since he was younger, explains Skogsletten. 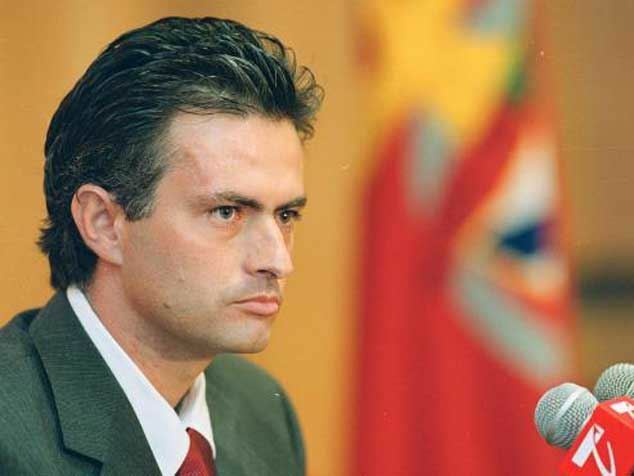 He himself said that he was fresh in the profession and that he now looks back at “young Mourinho” as arrogant. He feels that he has become more open to other perspectives in recent years. Nevertheless, it is not to be avoided that the Portuguese, to a large extent, emphasizes the results, regardless of whether it should mean a cynical approach. “He no longer focuses on things to be so complicated or beautiful. Things should be simple, objective, pragmatic and understandable. As long as you get the results you want, he does not see the rest as a problem, says Skogsletten. The Portuguese adds, on the other hand, to several factors why he has become so successful. “He talks about how important it is to have an academic background, to understand all of the basic principles in sport, emotions, psychology and soccer skills in general. He believes that this is one of the more important things he has, and is one of the reasons why he has succeeded in football. Below are two comprehensive guides for football coaches, tacticians and students of the game to understand tactical periodization coaching and training in detail. 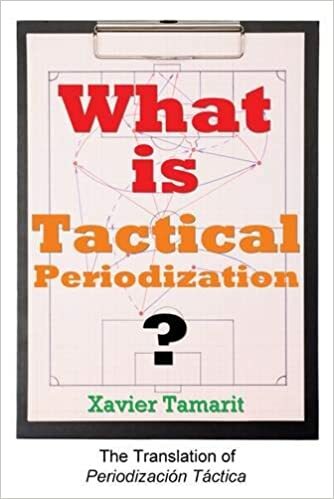 Originally developed by Vitór Frade, at the University of Porto, Tactical Periodization is a methodology – popularized by coaches such as José Mourinho and Andre Villas Boas – that trains soccer players through a logical process that focuses on four moments of the game. These four moments are: Offensive Organisation, the Transition from Defence to Attack, Defensive Organisation, and the Transition from Attack to Defence. Through Tactical Periodization, the aim is to develop players to rapidly alter their on-field behaviours according to the tactical context of the match, and what actually unfolds in front of them. In turn, every training exercise focuses on at least one of the four moments, and always the coach’s tactical game model of how he wants his team to play. In doing so, football players prepare and learn how best to conquer the often unpredictable matches that they encounter competitively. In 2011-12 and 2012-13 Jupp Heynckes’ FC Bayern Munchen played an entertaining and effective football game style that led to both Bundesliga and Champions League titles. Heynckes’ Bayern lost the 2012 Champions League Final in PKs but won in 2013. Winning those titles was based on a game model this book depicts. 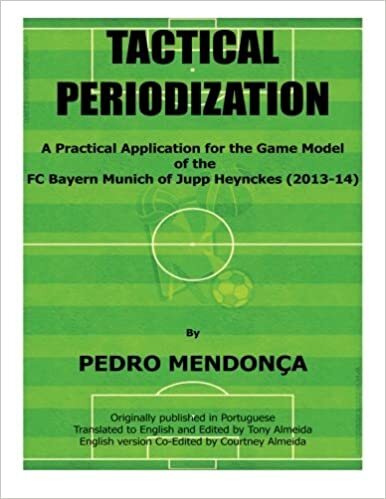 Utilizing the Tactical Periodization method to implement it is an approach proposed in this book. Tactical Periodization was made popular by Jose Mourinho who has won titles since 2003, his first year as a Head Coach in four different countries (Portugal, England, Italy, Spain) plus a UEFA Cup, two Champions League, and was Champions League semi-finalist three other times…all in 10 years! Tactical Periodization is a methodology a Coach may apply to play game style any and/or formation leveraging this method. Implementing a game style requires thinking and planning through each game situation. Preparing those game situations through the pre-season and enhancing the team’s effectiveness throughout the season is the focus of the Tactical Periodization method. It integrates the four pillars of the game (physical, mental, technical, and tactical) with the four moments of the game (Offense, Transition to Defense, Defense, and Transition to Offense) over the training week to reach the desired Game Model.